Holga is a festival character Katherine created a number of years ago as she toured schools throughout Hong Kong, Macau, Thailand, Malaysia, Indonesia, Singapore, Korea, India, the UK, and Australia. It is no wonder that Holga is called the Gypsy Story Teller! Fun and filled with lightness and laughs, Holga has a delightful way of bringing audiences together. 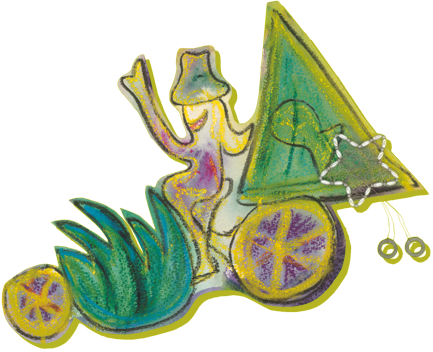 This new touring festival show Katherine has created will travel throughout Australia and Southeast Asia on a Bakfiets Cargo Bikes. (Two bikes for two different spaces! She hasn't figured out how to put wings on these things). Our first Australian show featuring Holga was launched at the Sydney Writer's Festival in the Blue Mountains. Please stay tuned for Holga's next public appearance!